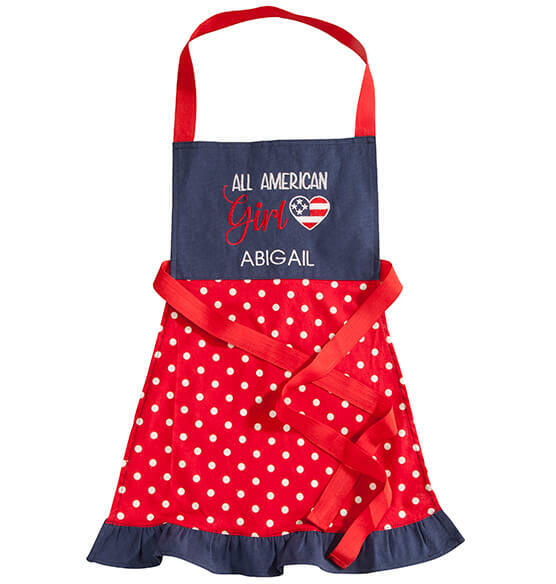 She's American as apple pie (and just as sweet) ... so let us make this Personalized All American Girl Children's Apron for your favorite "All American Girl"! 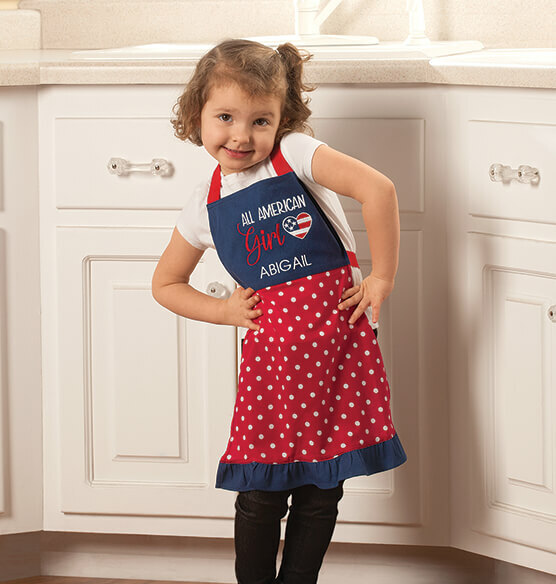 Fun for little chefs and crafters, our patriotic personalized kids apron features red and white polka dots and blue trim with embroidered flag heart and the words "All American Girl". We'll add one special name, creating a personalized, patriotic treasure! Child's father is in the military - very patriotic and I liked that it could be personalized.